In her IEMS academic seminar, researcher Wei-Fen Chen explores the transitional identity and consumption habits of millennial consumers from emerging markets. Consumer identities are becoming increasingly hard to define in modern, dynamic societies using traditional demographics. It is based on in-depth interviews with 27 first-generation, Chinese international students enrolled in a major US university. Wei-Fen’s research focuses on individuals experiencing upward mobility, as well as geographic mobility thanks to overseas education. Young, overseas Chinese consumers expecting to return to their home country, shop strategically during their intended, fixed- term stay in a western culture they aspire to and differentiate themselves from immigrants, their local peers, and other global nomads through their consumption habits. Wei Fen finds that Chinese millennials consume with an eye to making sure that they are pursing the legitimate, popular “West” whilst seeking meaning and reference for their consumption habits through their native cultural context. In other words, they are not trend setters or early adopters but pursue cosmopolitanism through their Chinese, “second-hand” image of the west. Surprisingly, and contrary to their cohort’s “Great Gatsby Generation” moniker, informants do not lightheartedly splurge on luxurious products, with the important exception of “experiential luxuries” (e.g. travel, entertainment) and “essential luxuries” (e.g. health, security, things with absolute, utilitarian values). In fact, interviewed Chinese millennials often refrain from shopping for elite, hedonic luxuries (e.g. designer fashion brands), but aspire to purchase them in later life. Wei-Fen’s findings provide insight into how emerging market consumers negotiate with their dynamic, global identities when away from home and immersed in their aspired culture. This project explores the consumption habits of emerging market consumers who are globally and upwardly mobile. While social mobility has been a common theme in the field of social science and is usually studied in macro-societal perspectives regarding mobility rates, this study joins an emerging scholarship in consumer research to examine how such transition into a new socioeconomic reality is lived at the individual level through everyday consumption. Data was collected in 2016 through in-depth interviews with twenty-seven first-generation Chinese international students, who were enrolled in a major U.S. university on personal funds. Three themes emerged in data analysis. First, informants weighed their capital loss as much as their capital gain, and perceived their upward mobility to be highly overlapped with geographically outbound mobility. Second, while informants were exposed first-hand to the western consumer society and employed western norms to interpret their consumption, they nonetheless referred to Chinese contexts to evaluate what the popular, legitimate imagination of “the west” would be. Third, informants’ mobility experiences have shaped their multiple forms of luxury consumption, namely, essential luxury, elite-class hedonic luxury, and ephemeral, experiential luxury. 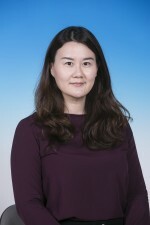 Wei-Fen Chen joined HKUST in 2016 as a post-doctoral fellow in the Institute for Emerging Market Studies after receiving her Ph.D. in Communications and Media from the University of Illinois at Urbana-Champaign. Her research focuses on consumer culture and social stratification, particularly in regard to the psychographic and demographic features and consumption practices of individuals experiencing upward/downward social mobility. She was a recipient of the Fulbright Fellowship, the S. Watson and Elizabeth S. Dunn Fellowship, and the Dissertation Completion Fellowship from the Chiang Ching-kuo Foundation for International Scholarly Exchange. Before joining the academia, she worked as a government officer in Taiwan and was specialized in press liaison and media strategy. Chinese millennials are not trend setters or early adopters but pursue cosmopolitanism through their Chinese, “second-hand” image of the west.